The 1/2" .UNO packaging printer’s all-in-one print head and screen give you a simple, yet incredibly powerful way to print up to 1/2" of print with the minimum of effort. This packaging printer system, comprises of a 7" screen and attached print head allowing you to be up and running within minutes. The JET2neo high-efficiency continuous inkjet printer features 3-line printing with a 7x5 matrix while production is running. It's ideally suited for standard requirements in product marking. 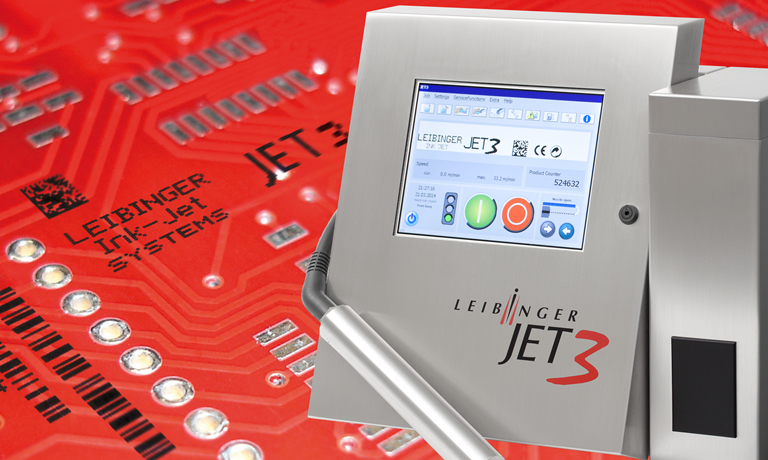 The LEIBINGER JET3UP industrial inkjet printer is a high-efficiency solution for coding products while production is running: The continuous inkjet (CIJ) technology enables non-contact, on-the-fly printing. This means print speeds of up to 6.6 m/s at 10 cpi can be reached. 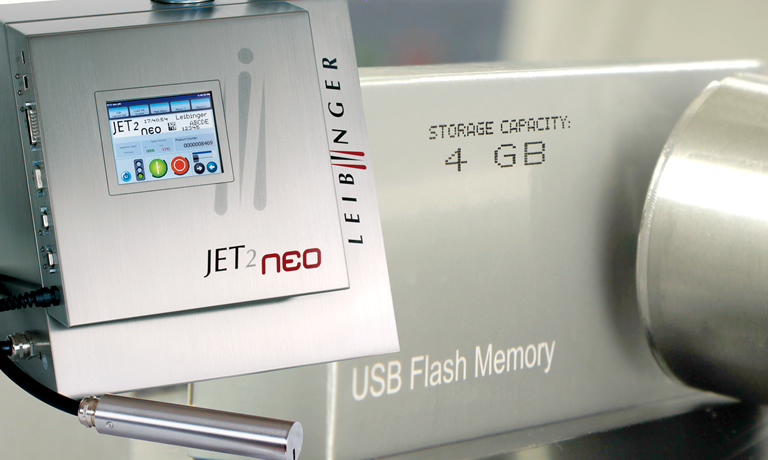 The Leibinger Jet 3 pi CIJ printer utilizes pigmented inks for marking and coding with virtually no maintenance and 100% up time. 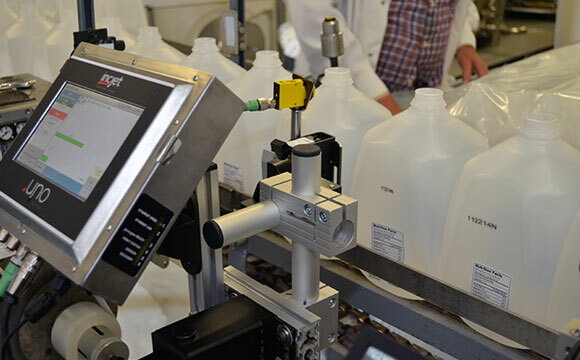 With it’s “closed loop” system ink is recirculated through the entire system, not just within the ink container. This eliminates clogging and ensures pigmented inks maintain their exact color specification. Contact our sales team about the right small character inkjet or laser solution for you.